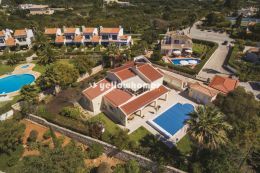 Located close to Carvoeiro in a secure and quiet environment this attractive two-storey semi-detached villa has much to offer as a holiday property or for permanent residency. A welcoming hallway with guest cloakroom/WC leads directly into the comfortable and bright lounge area which has Satellite TV and a double aspect wood fireplace to heat both the living and dining area. 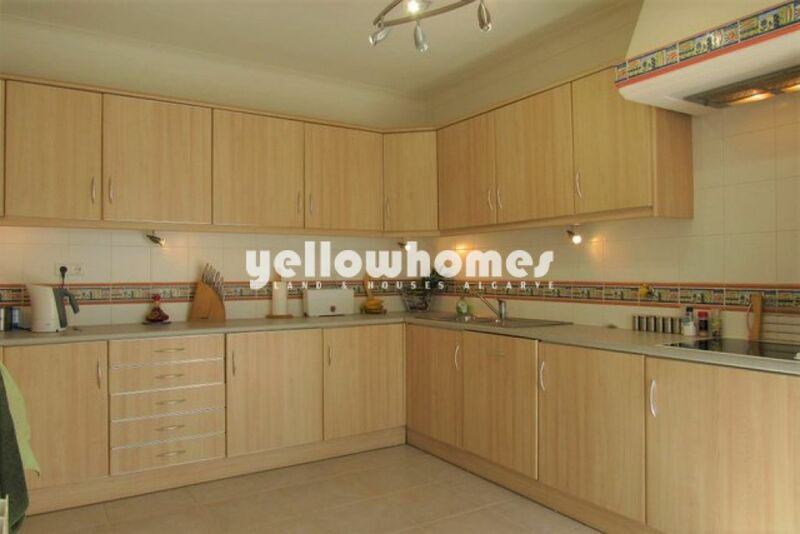 Split level design to the open-plan fully fitted kitchen equipped with top Bosch appliances. Adjoining dining room and access out to a sunny and shaded terrace with custom built-in barbeque. Corridor leads down to 2 bedrooms with fitted wardrobes and central heating. Family bathroom with bath and a step-in shower. Staircase to the 1st floor and the master bedroom with ensuite. 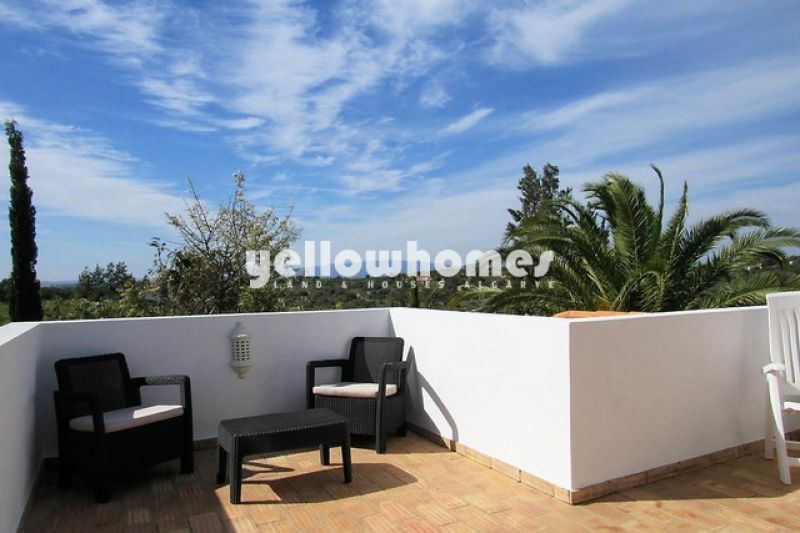 Large balcony with lovely views to the Monchique mountains and the surrounds. Private pool of 9m x 4.5m. 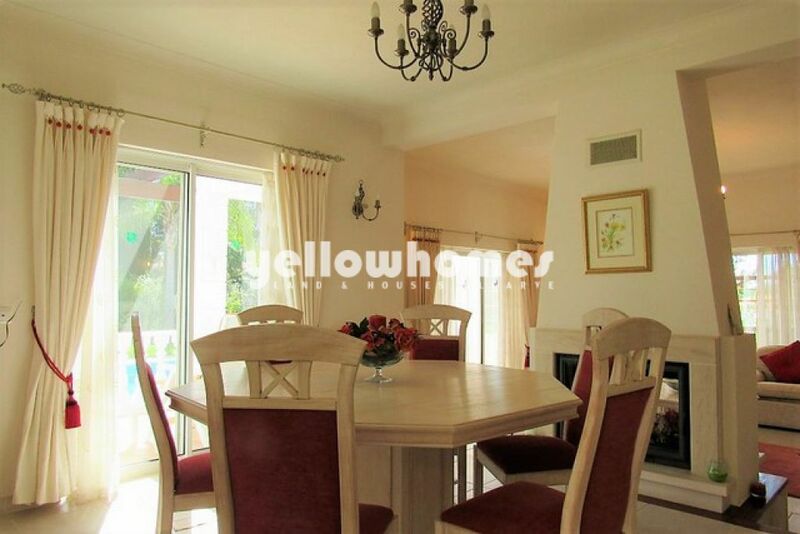 The property is surrounded by a fine garden full of trees, bushes and flowers. Many extras including central gas heating, electric towel rail, double-glazing, automatic irrigation and alarm. There are many advantages of owning in a golf resort as it is safe environment with 24 hour security. On-site management who can maintain and care for your home. Good social life evolving from the clubhouse with a good restaurant and indoor swimming pool. 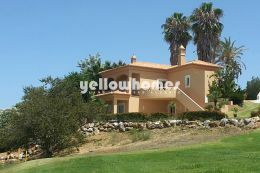 Great opportunity to own this lovely villa as a residential home or holiday/rental investment. Energy certificate class D.